True Air provides same-day air conditioning service across Adelaide and its suburbs for homes, offices, retail stores and commercial spaces that need to stay cool throughout the summer. 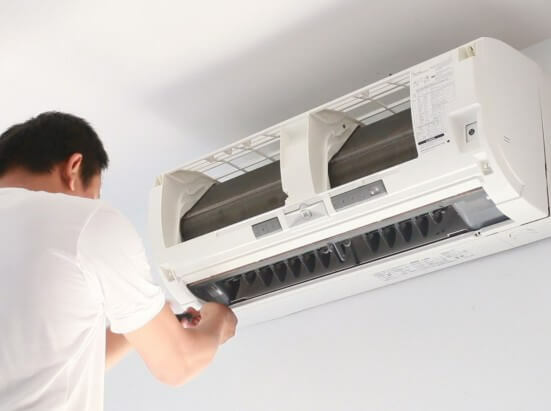 We specialise in installing all types of air conditioning systems, including all major brands, and also provide intelligent duct installation so that your central AC unit delivers maximum efficiency all year round. If it’s been a while since your AC was serviced, the freons level might have dropped at best or exhausted completely at worst. Since letting the compressor run dry can be disastrous to the appliance, call in our experts to have it topped off in time and beat the heat for the rest of the summer. Got a new air conditioning unit for your home or office space but don’t know how to get it right on the wall? 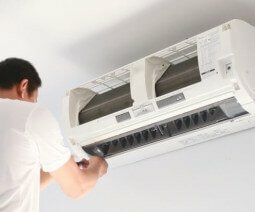 Let our experts handle the air conditioning installation for your Adelaide home so that you can sit back and enjoy the cooling without unnecessary humming and splutters. Based on your room and cooling requirements, we will find a suitable spot for your AC unit to deliver desired cooling in the right places. Your air conditioning system is more likely to break down when it is the last thing you’d expect. However, it’s not something you need to worry about. Give us a call anytime to have your air conditioning unit repaired to the best standards. In case there’s a broken part, rest assured that we will get you the OEM replacement at a highly competitive price. The best way to avoid repairs is to have your AC unit serviced timely and put to hibernate properly. Let us know if you need help with anything related to that. True Air Conditioning is one company that holds air conditioning expertise in multiple facets, including supply, installation, repair and maintenance. We provide the best air conditioning solutions that meet your needs and budget preference. We aim at ensuring your comfort level through our quality assistance across Adelaide and its adjoining suburbs. Give us the pleasure to serve you.